MY FIRST PRIORITY IS YOU! 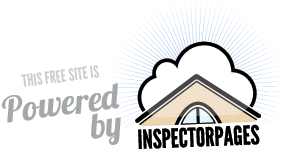 Whether you’re buying or selling a home, you’ll want to hire a Seasoned Inspector. I have been well-trained and a very qualified inspector in the business. Your home is probably the greatest purchase you will ever make.let me protect your investment and protect your family by working for you. I’m proud to bring my 7 years of experience and over 10 years of Inspection related work plus all my expertise of defect recognition to each inspection I perform. I will do my best to provide you with the service you deserve and an easy report you can use to your advantage for improvements and reduced cost to you. Call me for any Pre-Inspection, Home Inspection or Environmental.